Something drew my outside the other morning. It was misty and surreal. I went back in and got my camera. Here are two photos from that morning. This entry was posted on Tuesday, December 7th, 2010 at 10:19 am and is filed under Garden and Photography. Tagged: Garden, Photo. You can feed this entry. You can leave a response, or trackback from your own site. Wonderful, moody photos. 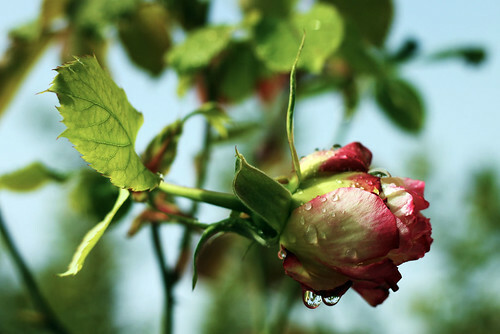 I especially like seeing the December rose. I love the red berries against the purple vines and the green leaves! 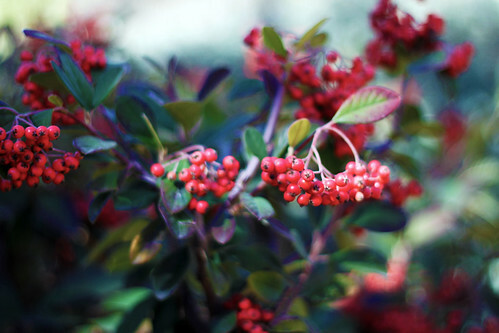 What kind of berries do you have – lovely images and beautifully captured!